I had a self-imposed spending ban in March. I’m going to say it didn’t quite work out. 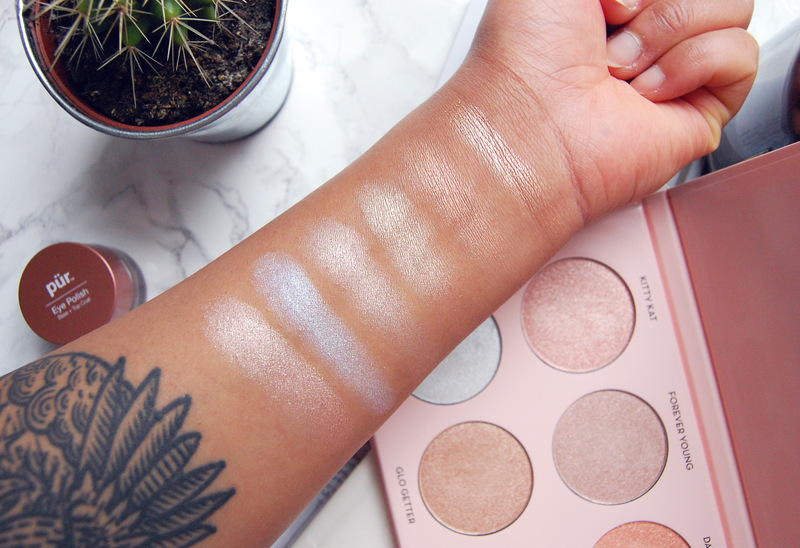 I’d seen the Anastasia Beverly Hills x Nicole Guerriero highlighter palette swatched, and the hype has been intense! I almost hoped it wouldn’t be available in the UK, because I wanted to detox from beauty and clothing splurges for a while. Then I bought this within five minutes of it landing online, and I ain’t sorry! I’ve resisted all the Anastasia Beverly Hills highlighter palettes so far. They’re beautiful, diverse in shade range, and with four highlighters in a palette, they’re a bargain! But the ABH Glow Kits up until now don’t win any awards for pigmentation and I find a few of the highlighters patchy in application. But I feel like Anastasia took the critiques on board, because this palette is incredible! Firstly, the formula is so much better! They’re buttery in texture, even in application, and the pigment is so incredibly vibrant that a little goes a long way. Minimal fall-out when using this palette is a bonus, because I hate when highlighters are too messy. They’re also finely milled, and aren’t chunky glitter highlights, which I’m not a fan of. Also, six highlighters in one is not bad at all! The shades are exactly the sort of shades I love. Pink, rose gold, and peach tones are my favourites, and I’d say this is mostly a cool toned highlighter selection, but Daydream and 143 are quite warm. Kitty Kat is my go-to so far, and it lasts on my skin all day, and I’ve literally had it stay in place once from 8am until 10pm, having faded ever so slightly. I love this palette so much! It was always going to take something special to prize my beloved BECCA Rose Gold highlighter from my hands, but just look at these! For a moving preview of the swatches, Jaclyn Hill swatched them in this video. Are you going to pick up the ABH X Nicole Guerriero palette? I loveee this palette! I cannot stop using it. I love the shade range. I have their Sun Dipped Glow Kit and like it, but one of the shades wasn't as pigmented as I wanted it to be. But, the shades in this palette are all stunningly pigmented and so smooth and metallic! 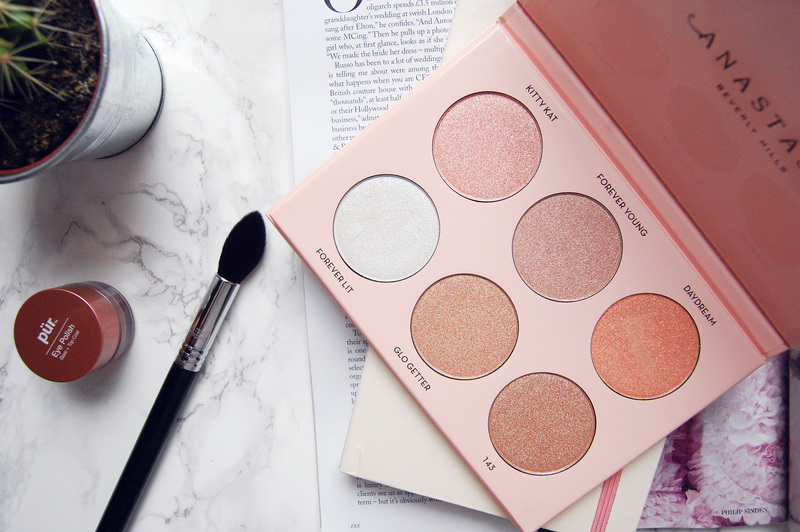 The Sun Dipped Glow kit is so beautiful! I'm hoping they might reformulate at some point so I can try a few of the kits.